Max Payne and Alan Wake are two of my all-time favorite game series, and I've been excited about Quantum Break since its announcement alongside the Xbox One last year. Finally, during Microsoft's Gamescom 2014 conference today, we were able to get a look at how Remedy's latest character action game will play. 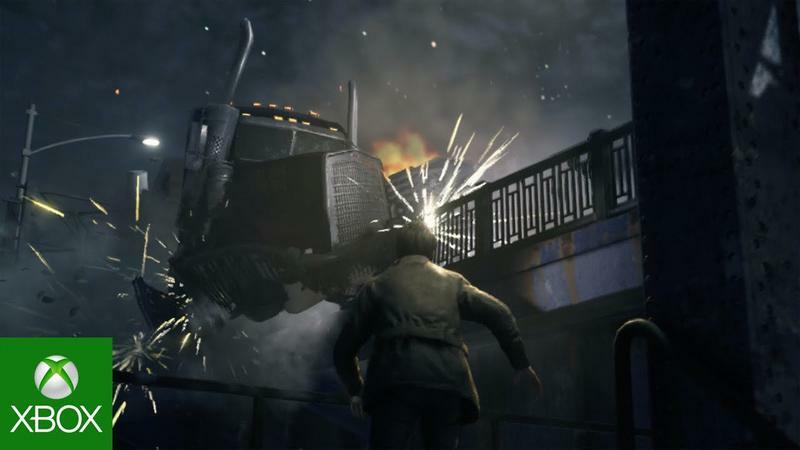 Those previously mentioned games made some light use of time manipulation in their action sequences, but this time around Remedy is making time manipulation the primary mechanic of the game and part of the story. The main character can slow down time to do things like move from cover to cover or get the jump on an enemy, but he's also subject to the effects of environmental time ripples caused by a scientific disaster he's trying to clean up. Birds and debris hang in the air as he navigates his way through a frozen checkpoint. Officers and protesters are stuck mid-conflict. He makes it through the chaos only to find someone else unaffected by the ripple and far more heavily armored than him. As he takes a few shots at the enemy, the ground ripples and flexes around him, showing off some of the cool visuals Remedy is working on. It's unclear yet how live action segments will play into the game, but this is definitely a Remedy game, and I can't wait.